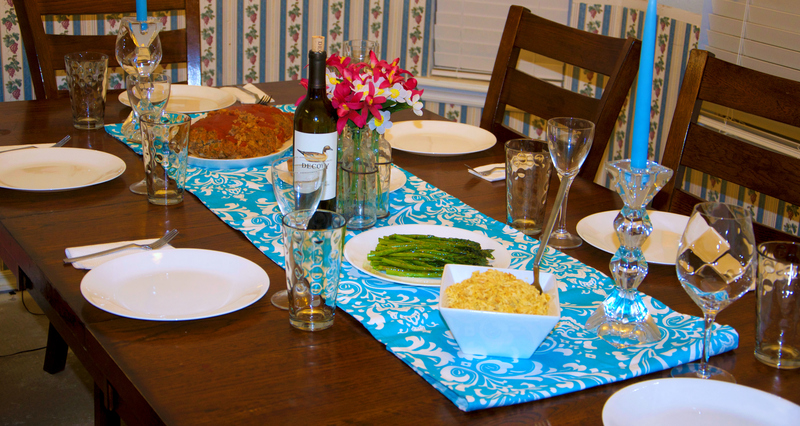 Thanksgiving is not just a time for family but also a time with friends. Friends are just as important to me as some family members. Since moving to Oklahoma I’ve had to make new friends and I’ll be honest, it was not easy. Probably because I am picky LOL but I don’t make friends as easily as I used to when I was younger. But the one’s I do make mean the world to me. and I am thankful for each and every one of them. When Udi’s asked if we celebrated Friendsgiving I figured hey, what better time to show my appreciation for my friends than celebrating Friendsgiving! One thing we are trying in our journey to eating healthier is trying more and more gluten free items. My husband may not be aware of this fact but I doubt he take issue with it. We’ve also tossed up going vegetarian which is funny considering I decided to throw out tradition this year and break the mold in our Thanksgiving celebrations. We also snacked on some fresh vegetables and UDI’s Whole Grain Bread topped with home made bruchetta (extra basil for us). I am actually quite proud because I am not the best party planner. Actually I don’t plan, I do things last minute and I have never actually decorated a table. Considering all of that I think every thing came together surprisingly well. 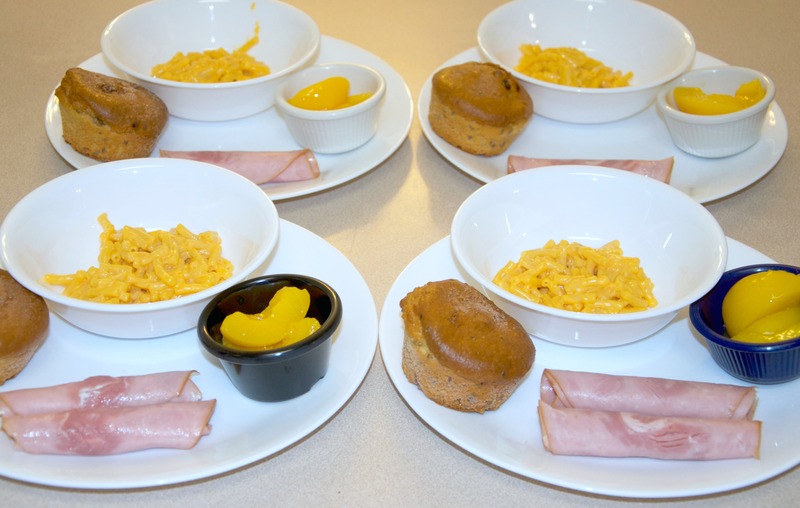 The kids tend to be a wee bit picky at times so in addition to the scrumptious meal above I made a separate meal for them just in case they didn’t like what was served. I may or may not have made entirely too much food but on the positive leftovers were the bomb! My mac n cheese may not have been gourmet because it was an after thought but it was mighty tasty. I mixed in some cream cheese and sharp cheddar and cut back on the milk and was left with this really creamy goodness. 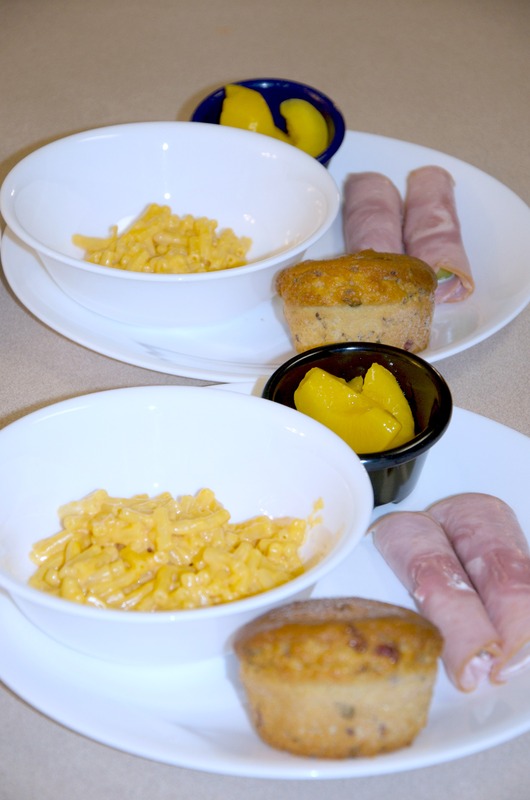 The kids devoured all of their food and even had helpings of meatloaf. Success would be an understatement. Since moving here two years ago I now know of three stores close to us that carry Udi’s products which makes me a very happy gal since I couldn’t find Udi’s anywhere when we first came here. To find out what stores Udi’s is carried in near you check out their product locator here. 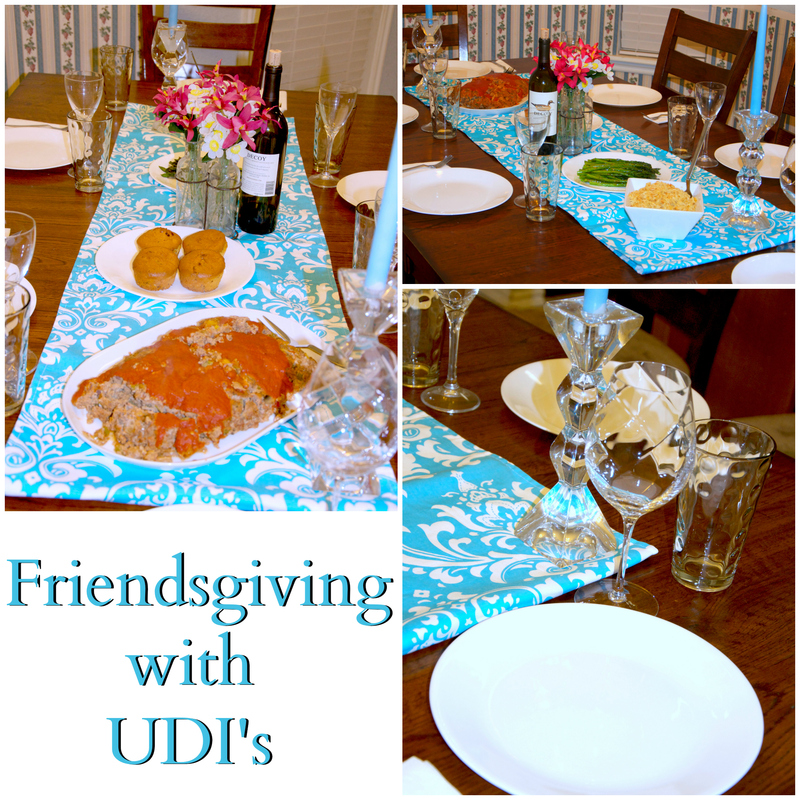 Thank you to Udi’s for providing supplies and inspiration for our fabulous Friendsgiving meal!